What is really going on at Battersea Power Station? The developers hope to sell to two Malaysian saving fund investors, Permodalan Nasional Berhad (PNB) and Employees Provident Fund Board (EPF) for £1.6 Billion. However PNB and EPF already indirectly own a large stake in the developers. The press is focussing on the record £1.6bn price tag making it the most expensive property purchase ever in London. Given the state of the pound post Brexit, the declining property market, the seriously troubled UK construction industry and Apple’s history of fickle “commitments” it might be London’s worse ever property purchase. Shareholdings in Battersea Project Holding Company Ltd will remain unchanged between Sime Darby Property Berhad (40%), SP Setia (40%) and EPF (20%). PNB owns a stake in Battersea Power Station through its 55% shareholding in SP Setia and stake in Sime Darby, following its acquisition last summer of Sime Darby’s entire interest in its property arm, Seriemas Development Sdn Bhd (SDSB). However the project will still be managed by same old Battersea Power Station Development Company (BPSDC) who say despite spiralling costs the deal will “guarantee the restoration of the building was completed” something they have always insisted was never in doubt. A cynic might argue that was is really behind this manoeuvring is the off-loading of an ailing white elephant, profit forecasts have gone from 20% to just 8% since 2012, building costs have doubled, onto the poor Malaysian pensioners who have savings in PNB and EPF. De-risking or handing over future losses to Malaysian public money. Demolition by Stealth. Perhaps we are lucky the (fake) chimneys are up on what’s left of the grade 2* listed building but sadly the wonderful brown Blockley brick east and west walls are half demolished, to be replaced with “pre-fab brickwork” according to Brian Barnes of Battersea Power Station Community Group despite the assurances, made in Selling an Icon, by sleepy old Historic England. 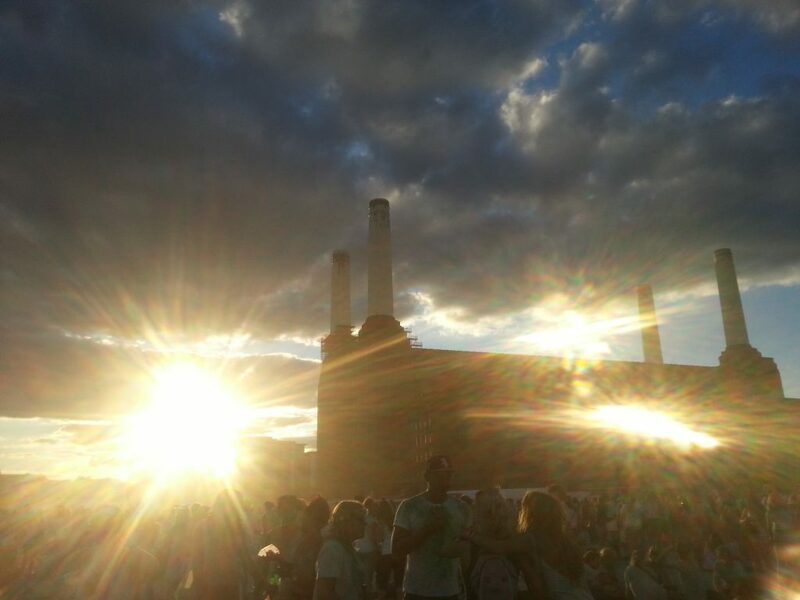 Watch Battersea Power Station: Selling an Icon on video on demand or DVD.